A few photos of the teacher in action! Here is Kris reading a story to the older group of kids. Here Kris was working on numbers by counting leaves on one of the plants. 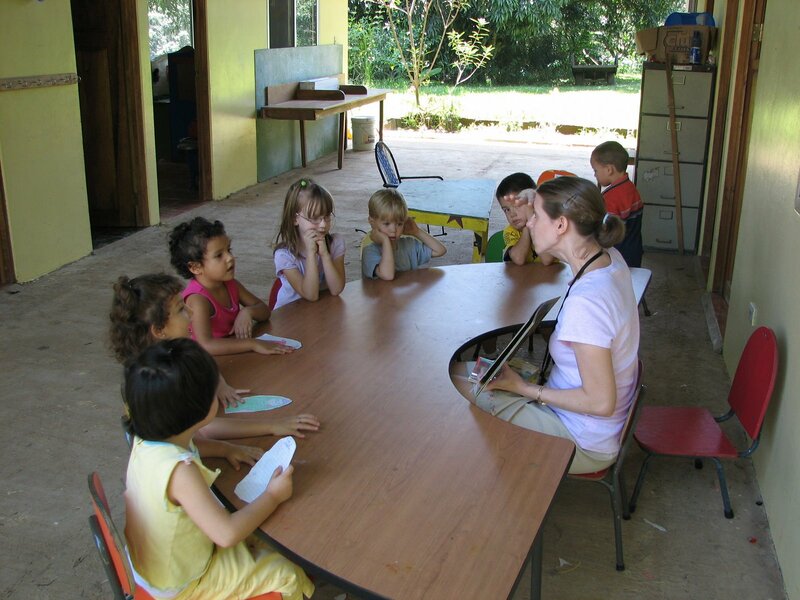 This entry was posted in Costa Rica, Matt's Thoughts and tagged pictures, preschool. Bookmark the permalink.